Right from inception, kodi SportsDevil was designed to be a sports oriented addon. It has lived to achieve this goal and many users are already ranking it among their favorites. This is because it enables them stream and watch all sorts of sporting activities including NFL games and live TV sports streams. The good thing is that this addon is readily available with the latest update being the unofficial SportsDevil repository. This update was done by Jairox who has done a great job in ensuring that that SportsDevil users are enjoying relentless streams and this has earned his version a spot in the unofficial repository. Kodi is a multimedia application. With this application, you can organize and play all media types. However, it is Add-ons that converts a simple media player into a powerful global multimedia center, allowing you to watch not only your own content, but also content available all over the internet. When you install Kodi, automatically the official Kodi Add-ons are installed; however, to take full advantage of the internet, you need to install the so-called Third-Party Add-ons; these Add-ons are no more than Add-ons developed by the Kodi community. Despite the great potential they have, it tends to bring to you contents that may be subject to copyright, putting you on the wrong side of the law, even without being aware of it. There are control agencies that, through your ISP, can follow everything you do on the internet and cause you big problems with the law, especially for copyright infringements. When Government agencies detect copyright violations, the authorities order the blockage of the sites and repositories in question. Some countries do so, even for political reasons. Many of the media content available on the internet are geographically restricted so that only can be accessed in certain countries or regions; these restrictions are made, based on the IP of your internet connection. To protect their infrastructure, ISPs tend to reduce the internet speed provided to the client when they detect access to streams that, as a rule, require higher internet speeds, such as movies and other HD content. Fortunately, there is a tool that allows you to overcome all these constraints. We’re talking about a VPN. In fact, when accessing a VPN, the initial IP assigned to your conection by your ISP is replaced by the IP of that VPN. A Good VPN like IPVanish, will route your navigation through a tunnel where all the information is encrypted, becoming virtually impossible, from this point, to government agencies and to ISPs, to follow your activities on the Internet. This way, legal problems, site blockage, geographical restrictions and speed reductions, are safeguarded. So, your first action should be subscribing a Good VPN. The VPN we advice is IPVanish, considered by all, as the Best VPN. With that in mind we’ve managed to get a special 57% discount, for our readers. Get your 57% special discount on IPVanish, now! In case you still don’t have one, a visit to our review on the best VPN services, may help. Visit your kodi home screen and Select add-ons. Click on cog icon (settings button). Enable installation from unknown sources. Select “Install from the zip file” then Select “Lazy Kodi“. Open the folder “REPOSITORIES” go to ANDROIDABA > repository and then Select “repository.kodil-1.3.zip“. Wait for a successful install notification. Without returning, select now “Install from the repository” and choose “..Kodil Repository“. Click on “Video Add-ons“. 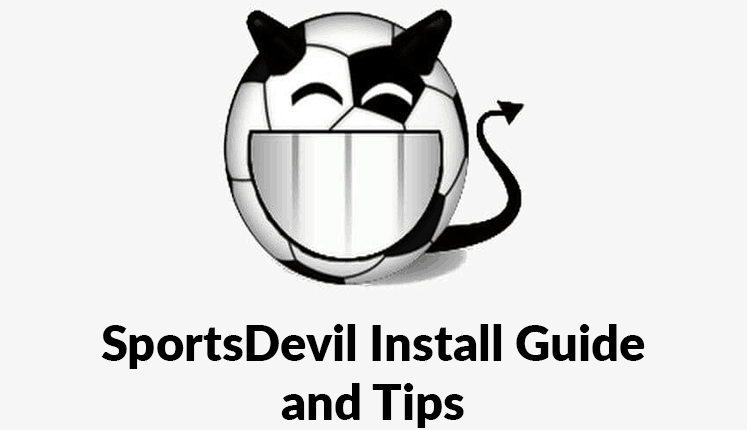 Find and select “SportsDevil” and “Install“. Wait for a successful install notification. 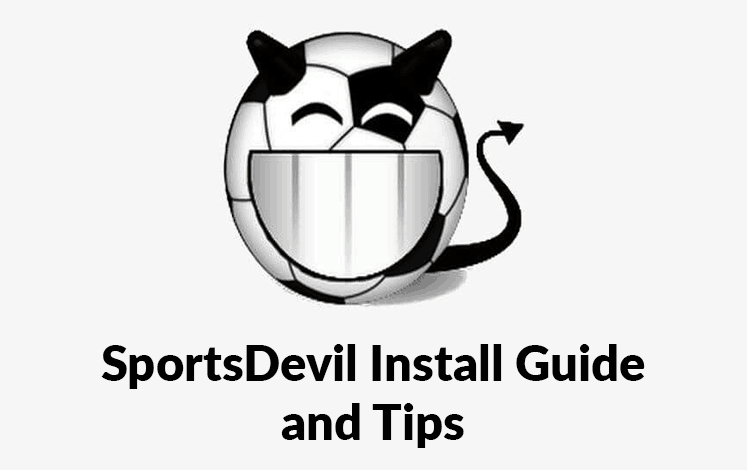 SportsDevil is now installed and ready for use. It can be accessed from the home screen in the Add-ons section. You can now enjoy live TV streams from your kodi with one of the all time greatest kodi addons. If you want to check out more sports addons, here’s our best sports addons list. The only challenge is that you will have to deal with SportsDevil stream breakdowns which have been a headache for many. What really has been happening to this streaming giant? Is SportsDevil working breaking down every time you try to stream one of your favourite sports events? Well, you aren’t the only user having a hard time using their kodi SportsDevil addon as this is an issue that has been experience by almost all users. However, you do not have to blame your box or feel like your kodi isn’t giving you value for your money as the ‘No Streaming Available’ message has nothing to do with kodi or your box. It has everything to do with the SportsDevil addon and the countless updates that have been experienced in the recent past. What Causes Kodi SportsDevil To Stop Working? It is clear that everyone wants to understand why their dreaded kodi SportsDevil addon isn’t working. You see, SportsDevil is an addon that allows you to use links to watch live matches and sporting events. This means that it doesn’t have or own the content you stream. As such, it relies on links to make the content available and this has been the main issue over the past few months. Most of these links have become unreliable. They will be available now and be unavailable in the next minute. A few minutes wait may see them come back live on your screen but this will not always be the case. The links used with kodi SportsDevil and other streaming addons can be moved or removed and this results in the failures. Addons such as Exodus and Phoenix act as search engines. They make links available to users and will sometimes have spaces for TV shows and movies that are yet to be released. Such spaces will have links that will give you the message that streams are unavailable. As such, if you are trying to watch such a show on your SportsDevil, you will in doubt get the impression that SportsDevil isn’t working. It is unfortunate that you didn’t get to enjoy watching your favourite match or sports event on your kodi simply because your Kodi SportsDevil addon doesn’t seem to work. Fixing these kodi errors can see you bounce back to the relentless streams but this has been the greatest hurdle for most SportsDevil users. In some cases, the links will go down from time to time but will come back online automatically. In other cases, the links may never come back online for whatever reasons. But normally in many cases is because you’re trying to access geoblocked streams or because your ISP (internet service provider) is blocking you to access that stream. These errors requires you to think of another way out. The usage of a VPN like IPVanish is always recommended if you’re using Kodi to stream. It will make your connection anonymous and secure, so you can stream without restrictions. How can a VPN fix kodi errors? A big parte of the errors it’s because you’re trying to access some content that are blocked to a specific country, for example you’re looking for Spanish match and most of the Spanish streams are blocked to Spain. With a VPN, you choose which location you want and your IP will change to use that location, so in this example you could watch exclusive Spanish streams / channels in any part of the world. But geo-blocking is not the only kodi error that a VPN can solve for you. Your ISP (internet Service Provider) is constantly looking for illegal streams and put the sources in their black list, then when you access that stream/source kodi will fire an error and that’s because kodi can’t connect to the stream/source because your ISP blocked it. You may already know that Premier League is working with UK ISPs to create a common and shared black list of premier league matches. A VPN will make you anonymous to your ISP; this means the ISP doesn’t know what you’re watching, so there’s no way for them to block your access. If you’re in UK trying to watch an UK match you can use the VPN and connect to an UK VPN server just to be anonymous to your ISP. Check here the best VPN services for Kodi. The most recommended VPN for Kodi is IPVanish. One of the easiest hacks that can see you continue to enjoy live streams on your SportsDevil addon is trying out different links. This addon gives you several links that you can choose from; the failure of one link means that you have the opportunity to try out other links. Try as many links as possible just to see which one works for you. You just have to be careful not to click on links that are not available on browse add-ons as this may erase your kodi setup. Force updating SportsDevil addon has been seen to be the most ingenious ways of resolving streaming errors. This can be achieved by going through one of the wizards installed in the kodi device in use. Once you have launched kodi on your device, select the programs tab and head to the Ares Wizard. Click on Browse Add-ons then Video Add-ons and finally SportsDevil (2016-09-26). This date is subject to change; clicking on the current one will force your SportsDevil to update as start working without the streaming errors. For impeccable results, shut down your kodi, restart it and test SportsDevil streaming capabilities. The Kodi SportsDevil is among the top ranking sports add-ons. It has gained popularity across the globe with the U.K being among the world leaders in its use. It has been a leading addon in terms of offering live TV streams and this hasn’t been all smooth; especially in the recent ties when premier league has been cracking down on addons giving users what they perceive to be illegal streams. The Premier League has gone to the extent of partnering with Internet Service Providers (ISPs) not only to block illegal streams but also to stop the spread of kodi boxes. The use of a VPN comes in handy when using addons such as SportsDevil to stream live content. A virtual Private Network helps the user bypass geo-blocks as blocks adopted by ISPs. This means that one will be able to stream live premier league matches without ISPs spying on their streams or even blocking their access. IPVanish is one of the best VPNs that will not only give you value for your money but will also come at a discounted price while still offering world class services. You will be among the lucky few who get an exclusive 57% discount if you follow this link to subscribe IPVanish. Give it a try and enjoy uninterrupted streams from your SportsDevil addon regardless of your location. It is important to note this page is primarily meant to offer information about kodi addons. We do not own Kodi SportsDevil and we do not have control over the content streamed. We are therefore not responsible for any harm or damage caused by relying on the information or programs contained therein.You will be responsible for your decision to use the information contained in this add-on.